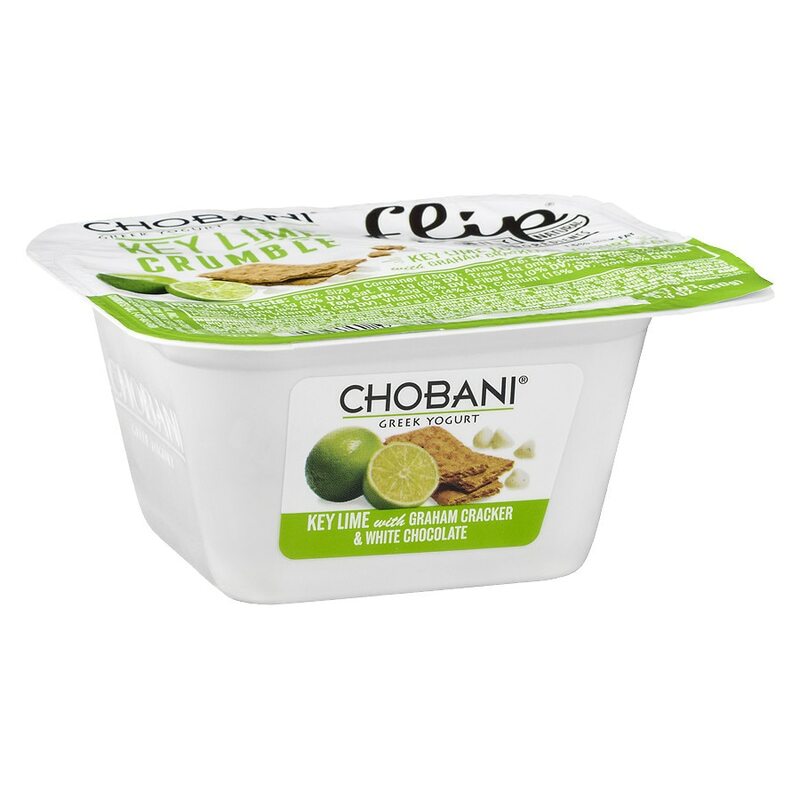 Key lime lowfat yogurt with graham cracker and white chocolate. Milk from cows not treated with rBST. Keep refrigerated. © 2012 Chobani, Inc. Contains milk, wheat and soy. Manufactured in a plant that also handles peanuts, tree nuts, wheat and soy. Do not feed honey to infants under one year.